We thought it was time to update you on how our new Aquaponics system is coming along. We're excited to be adding our new catfish to the system. These little (soon to be be big) guys will be producing fertilizer that we will incorporate into our Soil Building Program. Aquaponics is typically used as a sustainable food production system that combines conventional aquaculture (raising aquatic animals) with hydroponics (growing plants in water). In an aquaponic system, toxins that typically build up in the water are filtered by the plants growing in the system. Clean water is then recirculated back to the animals. 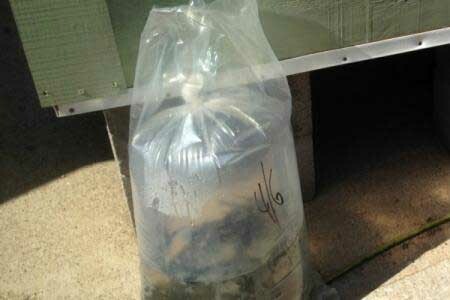 The waste produced by the fish in the system makes a wonderful additive to our organic fertilizer. 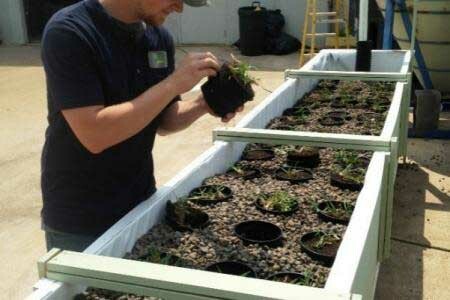 The system will also support our new crop of turfgrass plugs we'll be growing in they aquaponics system. Wonder what we're going to do with all these grass plugs? Make your lawn look it's best of course! Often, turfgrass will need rehabilitation or plugging after it has suffered from disease or insect damage. Also, when we physically remove weeds, it's important to refill those bare spaces with new turfgrass so that new weeds to not get established. 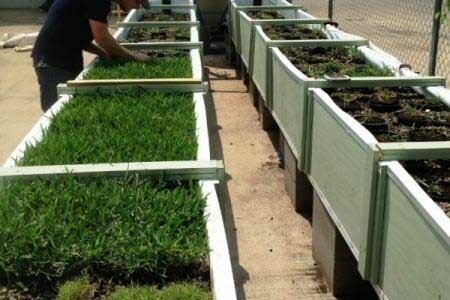 With our system, we'll be producing organically grown turfgrass plugs we can use to keep your lawn beautiful and healthy. For more information about our organic fertilization program, please don't hesitate to give us a call at 972.272.9211 or CONTACT US online.